Prof Gascia Ouzounian (BMus and MMus, McGill, PhD UC San Diego) is an Associate Professor of Music at the University of Oxford. Her writing on sound art and experimental music appears in journals of contemporary music, visual art, architecture and philosophy. Her forthcoming book Stereophonica explores the history of acoustic and auditory spatiality since the early 1800s in various contexts: stereophonic and binaural technologies, the science of spatial hearing, wartime listening devices, multichannel electroacoustic music, sound design for theatre, sound installation art and acoustic mapping. Gascia is artistic director of Optophono, a label that publishes interactive music and sound art. Dr Rachel O'Grady is a lecturer and researcher at the School of Natural and Built Environment, Queen’s University Belfast. She is also a co-founder of OGU Architects. Rachel studied architecture at the University of Cambridge and the Cass, and then worked in architectural practice before earning a PhD in Architecture from the Cass School of Architecture, London Metropolitan University. Rachel's recent design project, #BuiltEast, made with Donald McCrory and Chris Upson, was the winner of the Architecture NI Belfast Flare Competition in 2017. Conor McCafferty is carrying out PhD research on urban sound mapping. His research draws on his experience in both sonic arts and architecture: he worked for several years as Creative Producer with PLACE, a not-for-profit architecture centre, and he holds a BSc in Music Technology from Queen's University Belfast. His research develops interests in participatory urbanism, urban sound and urban pedagogy. His own creative practice revolves around music, sound recording and documentary film. Elen Flügge works diversely with sound in theory and practice. She studied philosophy (BA) at Bard College, NY and Sound Studies (MA) at University of the Arts, Berlin. 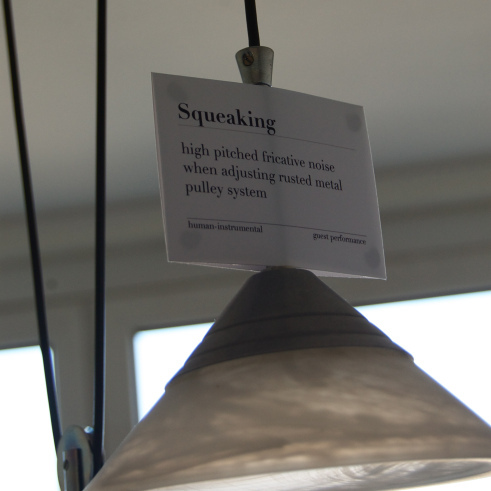 Her PhD investigates urban sound planning, informed by sonic arts practice. As a musician (violinist), she is an active member of QUBe, the experimental improvisation ensemble at Queen's University Belfast. Her PhD dissertation investigates how forms of situated listening can provide alternative understandings of shared urban spaces through an examination of listening practices, including strategies used within sonic arts. Matilde Meireles is a recordist, sound artist, and researcher who makes use of field recordings to compose site-specific projects. Her works have been exhibited in Portugal, Spain, United Kingdom, Germany, Brazil, and Greece. 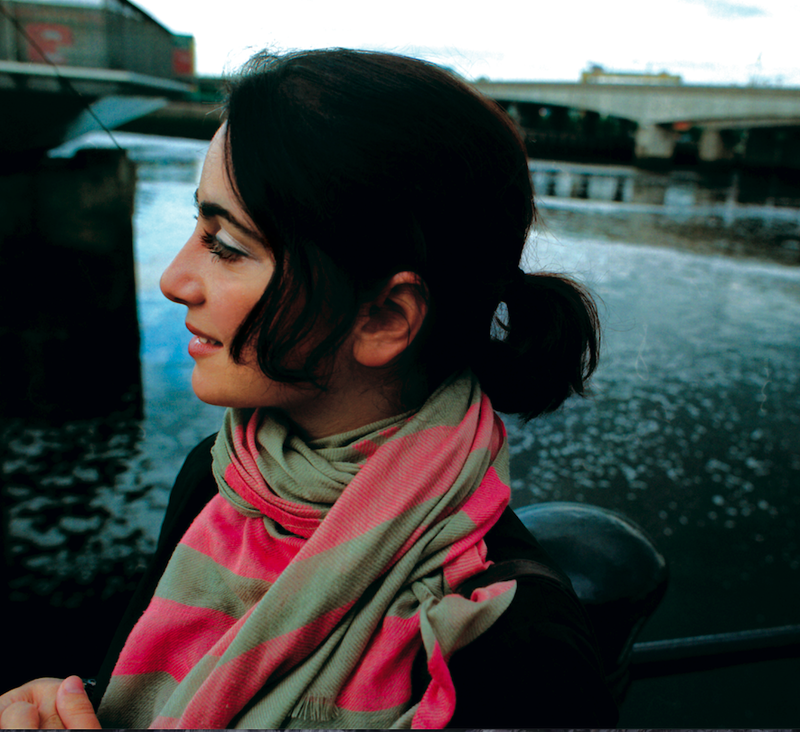 She has recently completed a practice-led PhD in Sound Art at the Sonic Arts Research Centre, Queen’s University Belfast, and is a post-doctoral Research Fellow in the Queen’s University Belfast project, Understanding the role of music and sound in conflict transformation: The Mozambique Case Study. She collaborates with Aidan Deery to form the field-recording duo bunú. She also collaborates with Conor McCafferty: together they use field recordings as a tool to explore and articulate urban transformation. Christabel Stirling is a doctoral student in music at Oxford University where she holds a three year Ertegun Graduate Scholarship in the Humanities, working under the supervision of Georgina Born. She completed an MA in Popular Music Studies at Oxford Brookes University in 2012 funded by an AHRC-BGP award, and prior to this, obtained a BMus from King’s College London where she was awarded the Purcell Prize for Music. Chrissy's ethnographic research investigates social relations and spatial politics in contemporary London music scenes. Merijn Royaards holds degrees in fine art, music and urban design. He is currently enrolled as a PhD student at the Bartlett School of Architecture in London and has performed and exhibited in Europe, China and the US. Recent publications and speaking engagements include the Sonic Arts Research Centre in Belfast, AHRA’s Transgression Conference, Architecture and Culture (Bloomsbury 2014) and The Acoustic City (Jovis 2014). Merijn is founder of Hybridity, a collective of artists, architects and musicians who think architecture through time-based media and performance. Gerard Gormley creates music that explores concepts of microsound. He works in electroacoustic music, audiovisual installation, sound design for film, and songwriting. In addition to his work as a composer, he is active as a sound engineer in studio recording contexts. Gerard holds a PhD in composition from Queen's University Belfast. He is currently Lecturer in Audio and Music Production at Buckinghamshire New University. Our original project research group at the Institute for Collaborative Humanities at Queen's University Belfast included the participation of over 20 researchers and practitioners working across various disciplines including sonic arts, music, architecture, film studies, and more. We have partnered with the following people and organisations on events and projects.